As a capital city library, the building needed to be many things to many people, providing flexible spaces supported by technology for the business and commercial communities; be warm and welcoming to the young; familiar and safe to the frail and disenfranchised. Capital city libraries by their nature and location have a different user demographic from other public libraries, with a much lower residential base but high visitor base. There are approximately 25,000 residents in the City, with a daily influx of at least 125,000 workers and visitors. 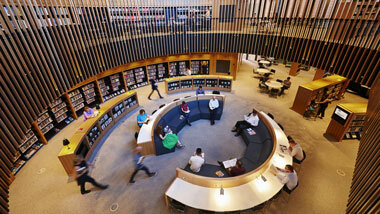 To best serve the community, the City of Perth Library was designed to allow ideal use of spaces and services. In addition to the physical collections and stock for borrowing, the Library has dedicated floors targeted to different demographics. For example, a floor for very young children with appropriately designed furniture and soft surfaces, as well as a young adult floor with study rooms and recreation areas, a History Centre for quiet study, bookable meeting rooms, hire facilities and many spaces for reading, studying and relaxation. The Lord Mayor of Perth has described the library as ‘the City’s lounge room’, a space for the people of Perth to meet, learn, create and engage. 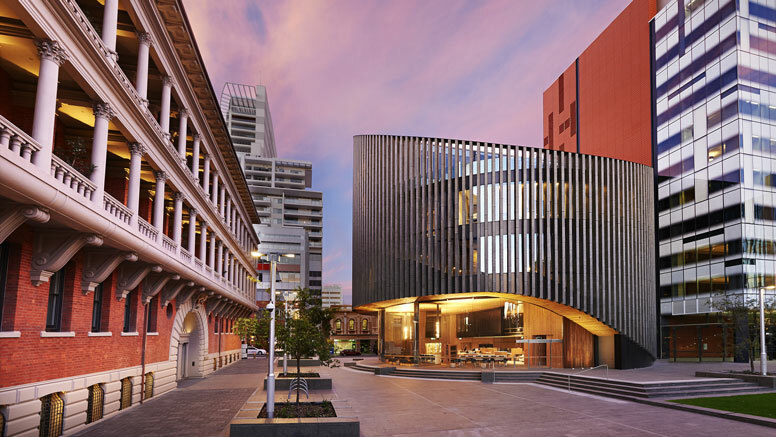 Stunning interior and exterior design, with commendable use of light, shade and local materials; the library is a landmark building that contributes to the cityscape and complements the character of the surrounding cathedral square precinct. The cafe and glass fronted entrance are useful features for attracting people passing by. With shades of the Bibliotheca Alexandrina and picking up on the Koolhaas mantra of a library being the sitting room in the city, this is a very appealing building. It relates well to the street with an obvious and transparent entrance. The interior is warm and welcoming, using timber and green features. Good signage includes the digital wall, which promotes library events. The building integrates well into its historic environment. The layout of the building takes account of the many and varied uses of the building and ensures busy vibrant areas are separated from the quieter more reflective spaces. Accessibility is good in terms of digital signage, and amenities for the frail and young. The building has been designed and built with sustainable design principles and technology. 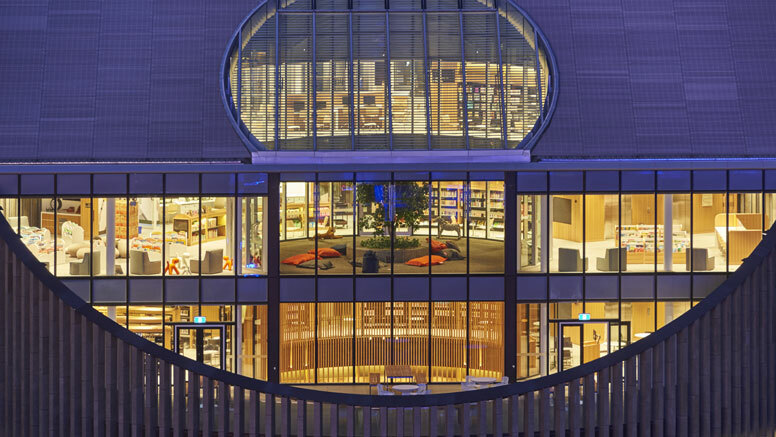 The design of the library also considers how the role of a capital city library is different from a local library. This is obviously a major inner city redevelopment project in which the library successfully plays a key role. Sustainability was a key strategic goal and the building responds to a very high standard indeed. The City of Perth Library website.